Salt City Karate offers Tai Chi classes. Classes are taught by Sifu Ken Nichols and Malessa Sweet. Tai Chi is a type of martial art very well known for its defense techniques and health benefits. The martial art has evolved over the years into an effective means of alleviating stress and anxiety. It has been considered to be a form of ‘meditation in motion’ which promotes serenity and inner peace. The term “t’ai chi ch’uan” translates as “supreme ultimate fist”, “boundless fist”, “supreme ultimate boxing” or “great extremesboxing”. The chi in this instance is the Wade–Giles transliteration of the Pinyin jí, and is distinct from qì (ch’i, “life energy”). The concept of the taiji (“supreme ultimate”), in contrast with wuji (“without ultimate”), appears in both Taoist and Confucian Chinese philosophy, where it represents the fusion or mother of Yin and Yang into a single ultimate, represented by the taijitu symbol . T’ai chi ch’uan theory and practice evolved in agreement with many Chinese philosophical principles, including those of Taoism and Confucianism. 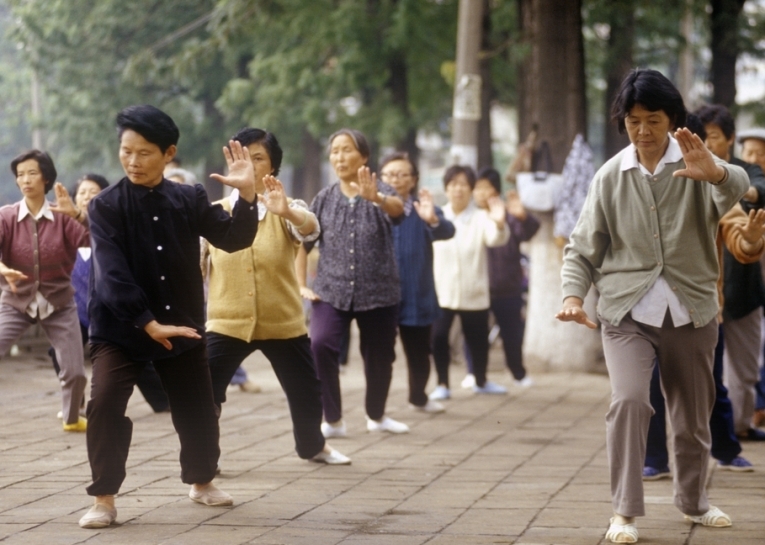 According to some records, tai chi dates back as far as 2,500 years! It involves a series of slow, meditative body movements that were originally designed for self-defense and to promote inner peace and calm. According to the tai chi historian Marvin Smalheiser, some tai chi masters are famous for being able to throw an attacker effortlessly to the floor with the attacker and spectators unable to clearly see how it was done. Their movements use internal energy and movements too subtle for most people to observe, reflected in the notion that “four ounces can deflect a thousand pounds.” At this high level of skill, a defender can use a small amount of energy to neutralize the far greater external force of an attacker. T’ai chi ch’uan training involves five elements, taolu (solo hand and weapons routines/forms), neigong & qigong (breathing, movement and awareness exercises and meditation), tuishou (response drills) and sanshou (self defence techniques).